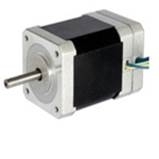 (Brushless DC Motor) or EC Motor (Electronically Commutated Motor) for dynamic and smooth operation. Similar performance compared to brushed DC motors but extended lifetime because of no mechanical commutator system inside. 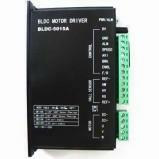 BLDC motors need a special driver. Customization and models with integrated drivers (Plug & Drive) are possible. Please contact us for detailed information. 3-phase brushless DC motor (EC motor) especially designed for application requires smooth operation and extended life time. Three hall sensors are included in order to control position of the rotor. We can offer series 42BLF and 57BL with internal driver. Modification on request.